DAVID LE/Staff Photo. 2/12/15. 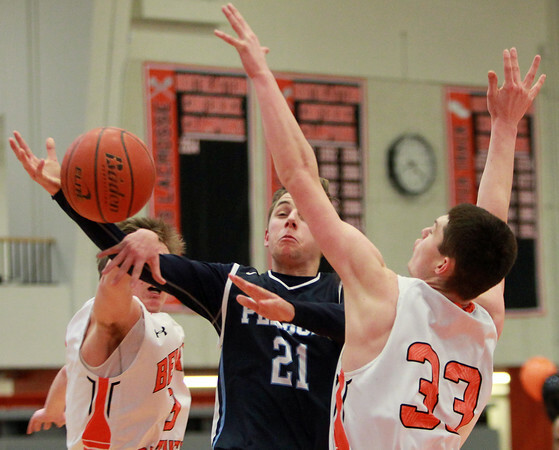 Peabody sophomore guard Matt D'Amato (21) loses control of the basketball while being fouled by Beverly junior captain Kyle Coughlin, left, and junior forward Pat Gavin (33).